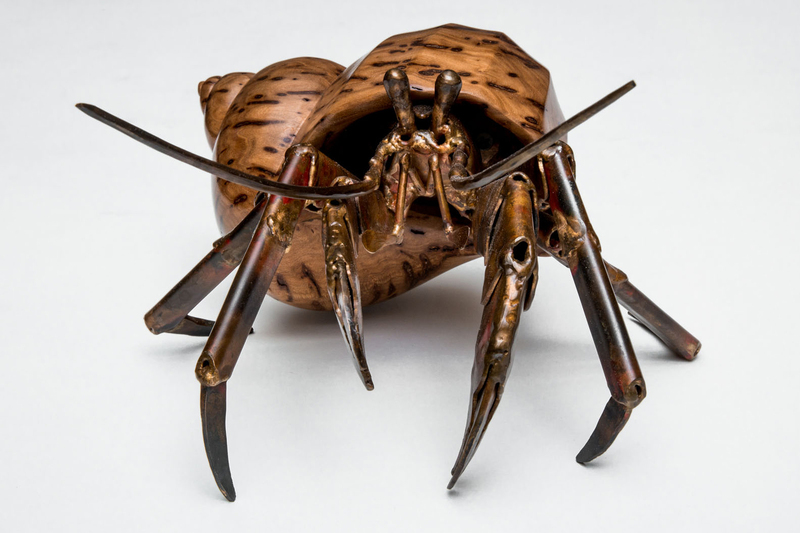 A hermit crab is always on the lookout for the next best shell. 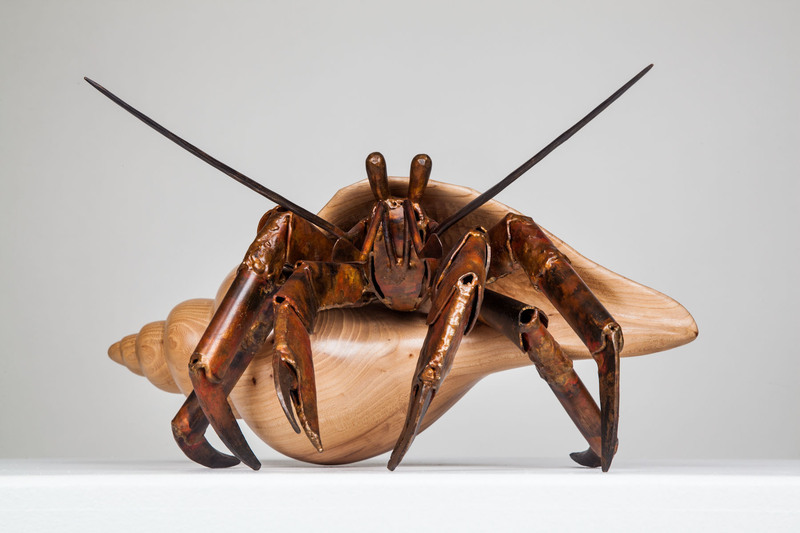 This crab sculpture is something to be marveled at. 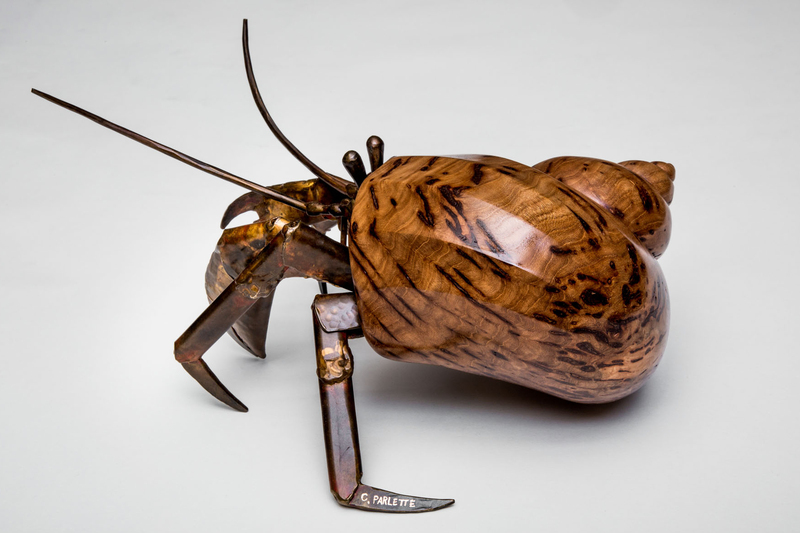 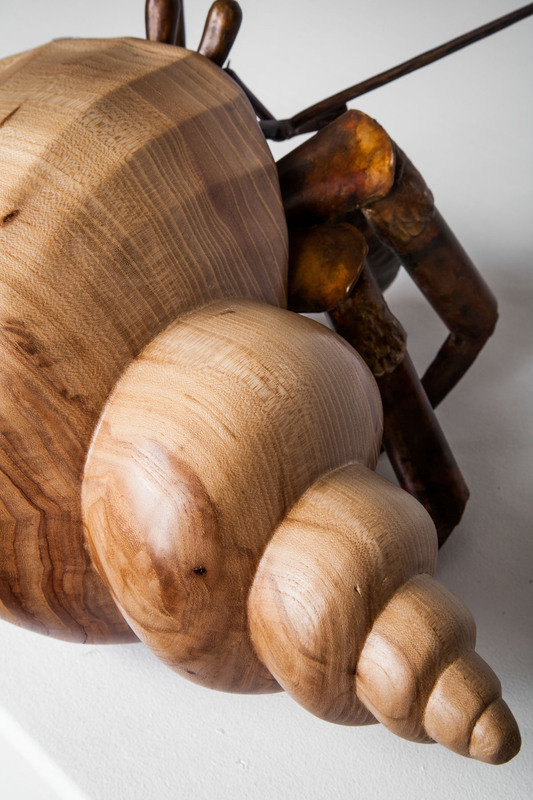 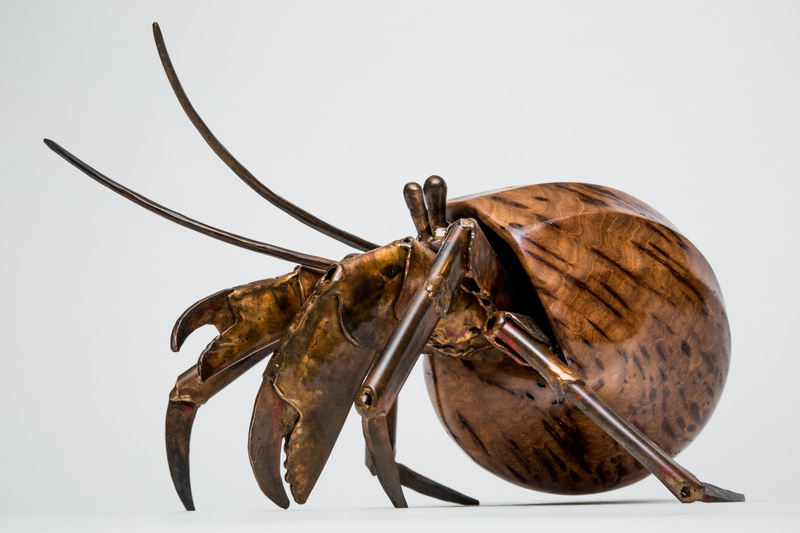 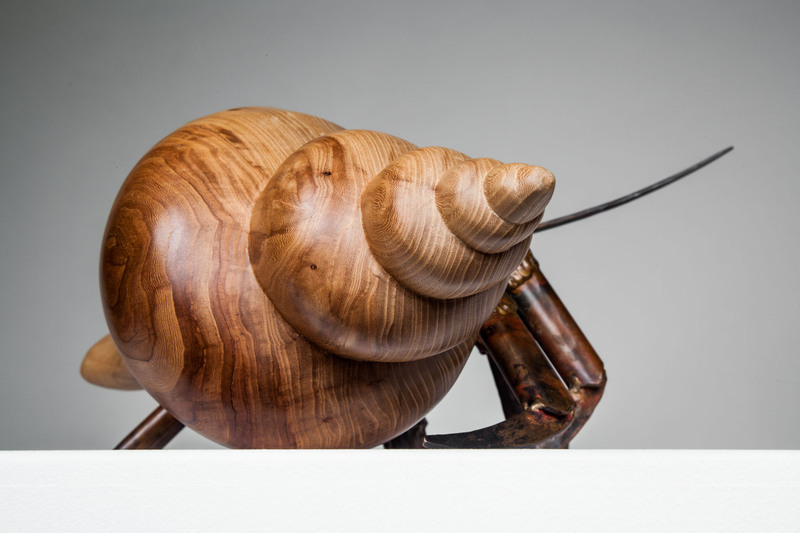 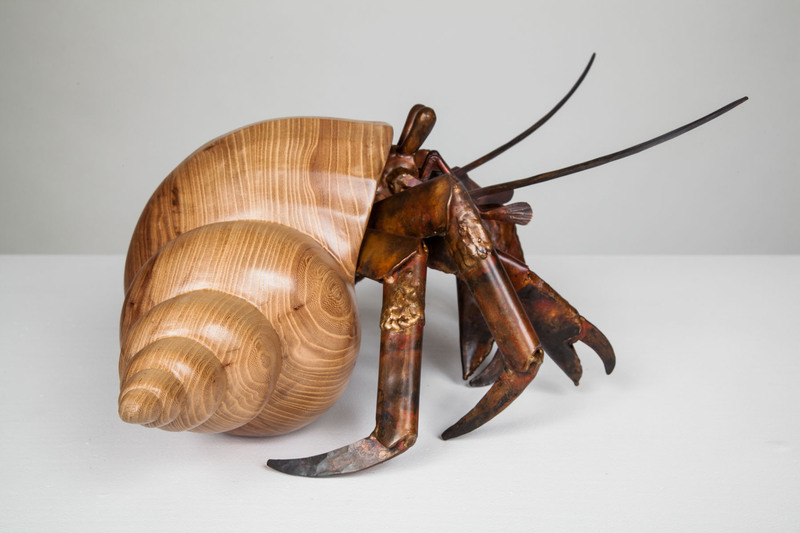 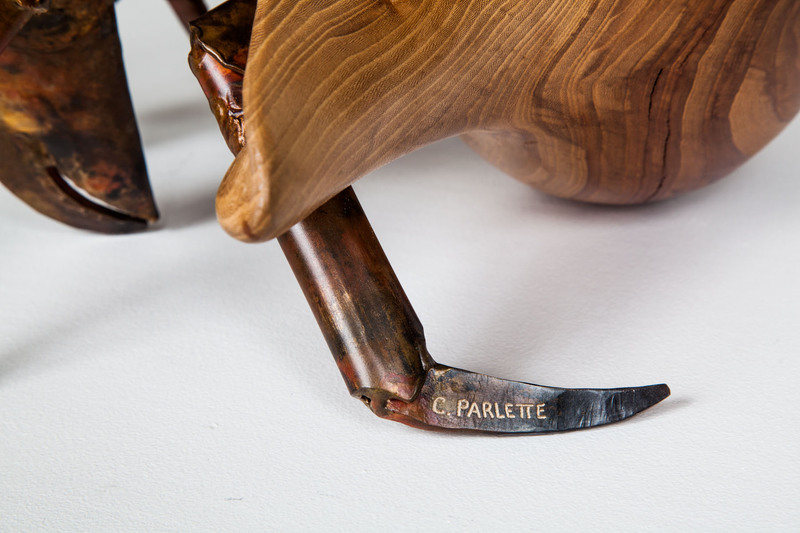 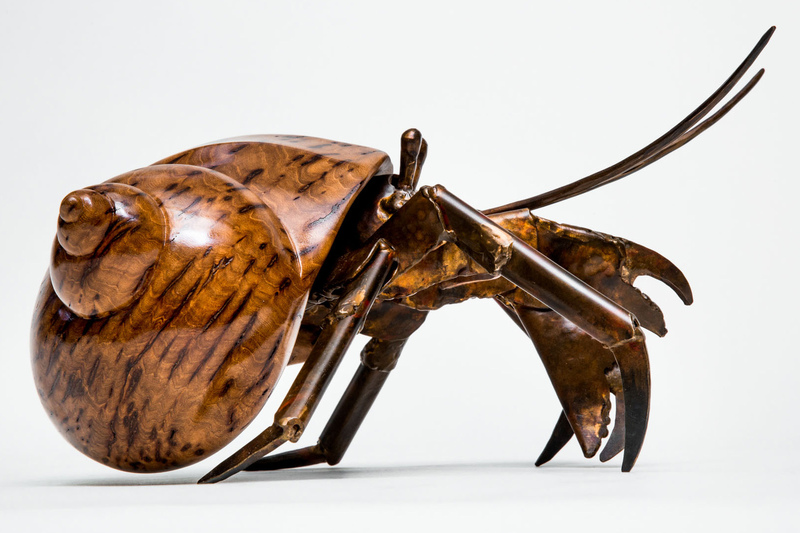 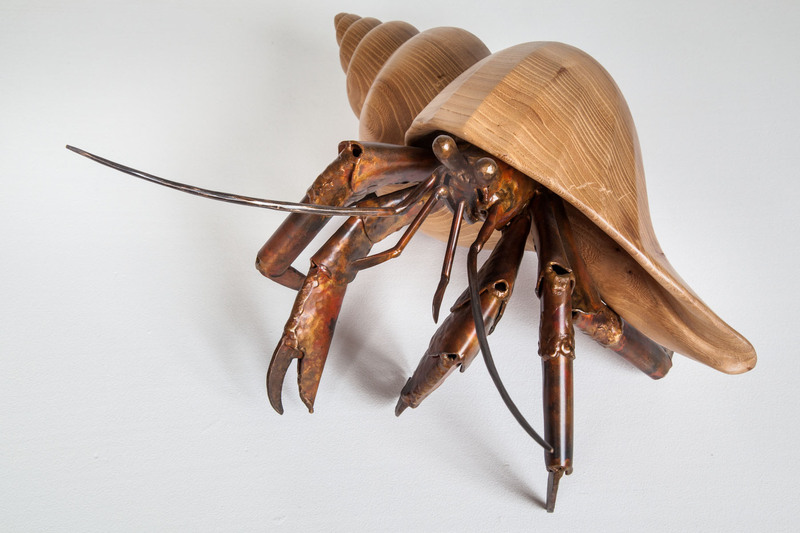 All renditions of Finders Keepers feature a welded bronze hermit crab in a dashing wood shell. 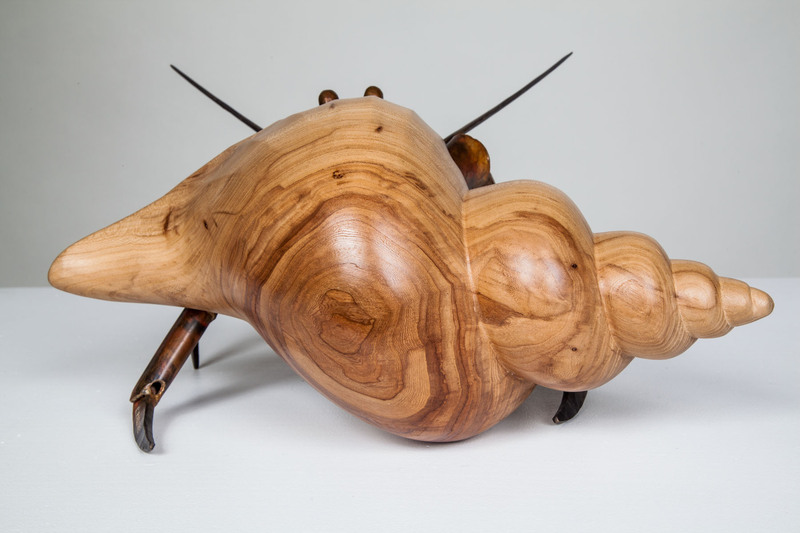 Seen here: acacia and walnut.